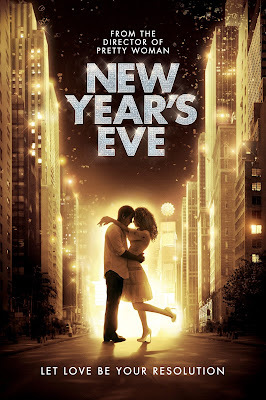 NEW YEAR'S EVE deals with a wide assortment of New Yorkers (Halle Berry, Jon Bon Jovi, Robert De Niro among them) whose lives intersect in various screenwritten ways on New Year's Eve. What follows are 113 minutes of paycheck cashing acting, two obnoxious musical montages, characters constantly running in different directions, and Ryan Seacrest. This cheap cinematic champagne mess is available for streaming on VUDU and YouTube, but as always, you're better off leaving this overcrowded holiday party to us and find something a bit more intimate, like Robert Altman's SHORT CUTS.